Does an American Jewish historian’s rejection of Zionism signal broader trend? 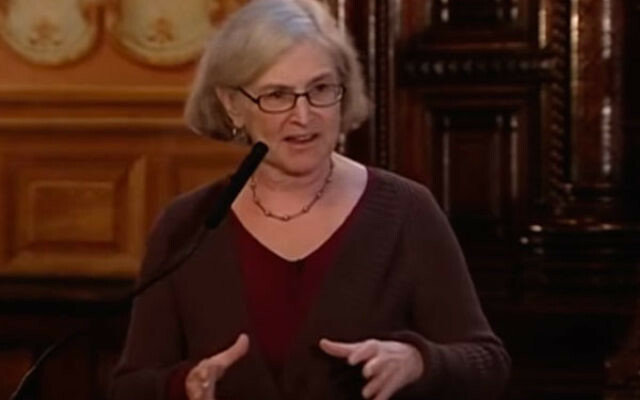 NEW YORK (JTA) — Hasia Diner is one of the most acclaimed American Jewish historians in the country. A product of the Habonim Dror Zionist youth movement, she is a former Fulbright Professor at the University of Haifa in Israel. Now, she’s calling Zionism a “naive delusion” and says she feels uncomfortable entering a synagogue that celebrates its support for Israel. Diner’s op-ed discussing her disillusion, which appeared Monday on the website of the Israeli newspaper Haaretz, immediately stirred passionate and angry responses among readers, including her fellow academics. It also raised the question whether her distancing from Israel makes her an outlier, or reflects a growing trend among American Jews, in general, and the Jewish academic elite in particular. Diner, who directs New York University’s Goldstein-Goren Center for American Jewish History, writes in her op-ed that she stopped being a Zionist in 2010, and now feels uncomfortable visiting many American Jewish institutions because of their support for Israel. She blames Zionism for the disappearance of “vast numbers of Jewish communities.” She condemns Israel’s occupation of the West Bank, as well as the growth of its haredi and right-wing sectors. Israel “is a place that I abhor visiting, and to which I will contribute no money, whose products I will not buy, nor will I expend my limited but still to me, meaningful, political clout to support it,” Diner writes. “The Law of Return can no longer look to me as anything other than racism,” she writes, referring to the Israeli law that bestows automatic citizenship on immigrants with at least one Jewish grandparent. 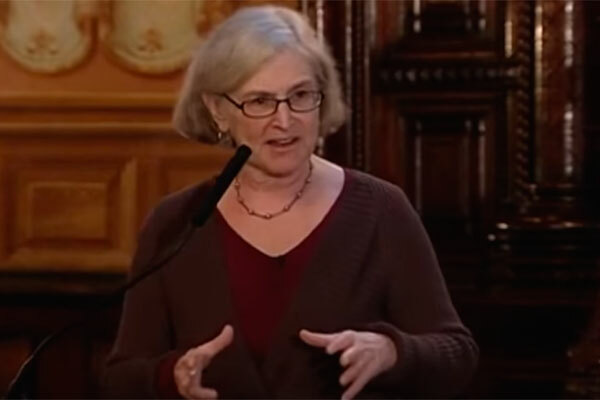 In a later portion of the op-ed, co-written with Babson College history professor Marjorie Feld, Diner writes that their renouncing of Zionism signals a broader trend in the American Jewish community. More and more Jews, they imply, do not support Israel. Diner told JTA Zionism was once “one of the most important parts of my existence” and that her shift away from it has been “painful.” As late as 2014, she signed on as a founding member of the academic advisory council of The Third Narrative, a pro-peace initiative of Ameinu, the progressive Zionist alliance. But she feels that speaking out is necessary, and that she speaks for a wide swath of American Jews. Diner and Feld aren’t the first American Jewish academics this year to publicly advocate criticism of Israel. In October, Harvard University government professor Steven Levitsky and Yale University economics and law professor Glen Weyl wrote an op-ed in the Washington Post supporting a boycott of Israel on the grounds that it would be the only way to meaningfully advance the peace process. Polls show young Jews growing more critical of Israeli policy. While three-quarters of Jews over 50 feel attached to Israel, according to a 2013 Pew Research Center study of American Jewry, only 60 percent of Jews aged 18 to 29 feel attached. Among that demographic, only 26 percent said Israel is making a sincere effort toward peace. Sarna said discontent with Israel among American Jews could be situational, having to do with the distrust between President Barack Obama and Israeli Prime Minister Benjamin Netanyahu. He also dismissed the notion that criticism of Israel is unwelcome in Jewish intellectual circles. But Diner, who has written extensively about Diaspora Jewry and the American Jewish experience in particular, would prefer a more fundamental shift among American Jewry: One where Zionism is one of several “icons of Jewish identity,” not the predominant one.